Cathryn Swan used to do public relations in the music industry, representing artists like Patti Smith, Sarah McLachlan and Aretha Franklin for over a decade, before she founded the Washington Square Park blog in February 2008. 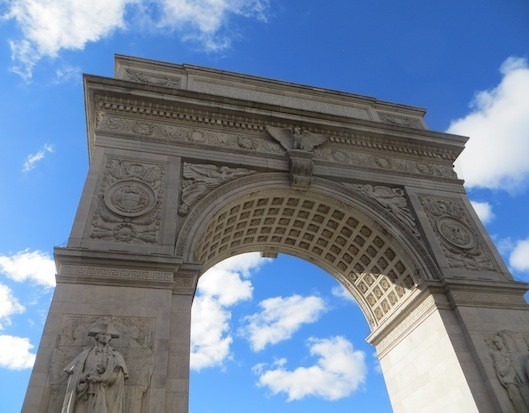 The blog was originally intended to chronicle the controversial redesign of Washington Square Park, but realizing there was so much more to the neighborhood, Swan expanded her coverage to include the goings-on of the surrounding Greenwich Village area, public spaces and local events. 1. What would you tell someone moving in to the neighborhood? Don’t be boring! Don’t be cookie cutter! 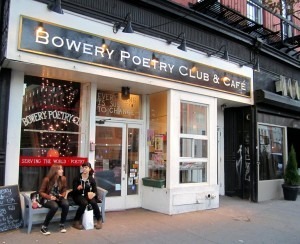 Once you're here, try to summon the ghosts of Greenwich Village past and ask for guidance. 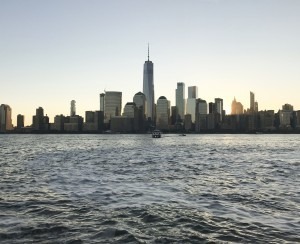 Of course, new energy is good but NYC has gotten so homogenized—go for the counterculture. I suppose I would advise this in any neighborhood only because we're sort of swimming against the tide right now and NYC is in a precarious state with an infusion of chain stores and the driving out of mom-and-pop shops. So, I'd say seek out the hidden spots, the underground 'zine, the history of the neighborhood, be present and become aware of people you might consider odd or ordinarily pass by and give them a second look. Also, get involved. Know what is going on in the neighborhood. There is still an activist spirit in the Village but because many of the young people tend to be college students who are a bit transient or who have to work so hard to pay their rent, there seem to be fewer young (under 30) people involved. Occupy Wall Street changed that a bit but most of the people didn’t live in the neighborhood and couldn’t afford to. 2. Where are the best deals in the neighborhood in terms of real estate? What about in terms of dining/entertainment? To find anything somewhat less expensive, people have to look for rent-stabilized apartments, but even those are hard to find at a reasonable rate. As far as dining/entertainment, Think Coffee on Mercer Street has a good happy hour ($4 beers and $6 wine all day long.) At LifeThyme Natural Market on Sixth Avenue off 8th Street, after 9 p.m., the salad bar is half price (about $5 a pound) if you buy a pound’s worth. (I’ve actually never done this but it seems like a good deal.) Eva’s on West 8th Street off Fifth Avenue has decent prices, healthy, low key. Washington Square Hotel has a very comfy lounge. Reservoir, which can get quite crowded, on University Place, has $1 fish tacos on Tuesday and Wednesdays. Dorado on East 12th Street has $3 fish tacos all the time. Shade Bar on West 4th and Sullivan is a nice bar, cozy, and has crepes, not too expensive. 3. What's the most coveted location within the neighborhood to live? 4. Is there a dream building in the neighborhood? There are so many distinct beautiful and natural styles between the many townhouses / brownstones and apartment buildings. One Fifth Avenue, judging from its exterior and what I read in Candace Bushnell’s eponymous book, sounds nice! 23 Washington Square North has been on the market for awhile – it hasn’t been redesigned since the 1970s and has a whole other-world feel to it. I’d like to redesign it (modestly) and live there. I say this with a smile, of course. It’s been marked down considerably but last price I read was $19.5 million – the building did have tenants but it’s likely whoever will buy it will not be keeping that aspect. 5. Any buildings that feel out of place with the feel of the neighborhood? Of course, it’s tempting to say anything NYU and that would have a large bit of truth to it. I believe when 2 Fifth Avenue, right across from the park, first went up there was protest – it does feel like that building should not be quite right where it is ON the park but it’s been there so long now -- since the 50s -- that it’s just part of everything (some of my blog readers live there!). Really, the NYU Bobst Library and the Kimmel Center, both right on Washington Square South, could be torn down and new structures put up and most everyone would be happy. After awhile you get used to Bobst, but not the Kimmel Center. I’m a little concerned about the new building being built at Washington Square Park which will house the bathrooms/administrative offices – I have a feeling it is going to be out of place in relation to the park itself. 6. Any real estate related controversy brewing or currently happening in the neighborhood? Well, NYU’s massive 2031 Expansion Plan, you don’t hear as much about it lately but basically no one except the NYU board is happy about it. It’s hard to imagine it going forward but no one at this point is stopping them. Unfortunately, the City Council Member of the district, Margaret Chin, took a very weak position and her colleagues in the City Council followed her lead versus doing what would have been correct to stop it. Same with St. Vincent’s Hospital, the only Village hospital, which is sadly now going to be condos and whatever else. NYC Council Speaker Christine Quinn didn’t do nearly enough nor did Mayor Michael Bloomberg ever utter a word about it to my knowledge. 7. How has the neighborhood changed in the past five years? Any projections on how it will change in the next five? I don’t think neighborhoods should stay static but I do think there are things about them that are special that should be appreciated and enhanced versus trashed and knocked down. The latter is what happened with the Washington Square Park redesign which was put forth in a very underhanded manner unfortunately and began just about five years ago. The "powers that be" in the Bloomberg Admin wanted their way and didn’t care what anyone in the community wanted which was to have the park renovated and spruced up utilizing the existing design, which worked quite well as it "was." I think modifications could have been made but not to this extent. Under Mayor Michael Bloomberg, there is an imbalance. The focus is on endless development with no concern about loss of character, loss of mom-and-pop stores, and long standing residents and the characters in the communities. The neighborhood continued to become transient in the past five years and will continue doing so if there is more NYU and more expense associated with living here. 8. What do you think your "sister" neighborhood might be? That’s a tough one! Not entirely but in some ways Tribeca for the cobblestone streets and neighborhood-y feel. 9. Which neighborhood feels like the opposite of your neighborhood? Upper East Side perhaps. Bay Ridge maybe. The energy in those places is just very different. The Upper East Side also has lovely town houses but Madison and Park Avenues are very different than MacDougal Street or West 8th Street or Fifth or Sixth Avenues in the Village. Bay Ridge is sort of a world onto itself. The vibe is a little rough around the edges and yet very smooth at the same time, a little more suburban and yet very city. Not exactly "edgy" or "bohemian" and, while the Village may have lost some of its edge, it still retains it to some degree. 10. Would you stay in this neighborhood forever if you could? Forever? Probably not. Some New Yorkers are very steadfast about never leaving New York. It’s hard to leave New York City once you are here because...it’s New York City. But the energy of New York can wear on you. We’ll see. 11. If not, where would you want to go? I’ve wondered about this at various points. In New York City, maybe Tribeca or Ditmas Park, Brooklyn (both very expensive now! ), in New York State, possibly Beacon or Poughkeepsie, and elsewhere, perhaps Asbury Park, nearby Boston, San Francisco. 12. What is one of the biggest misconceptions about the neighborhood? I can’t think of any to correct. The Village has a very eclectic, still bohemian artistic reputation, partly still deserved. Less so than in the past, and it has a somewhat more transient, real estate-obsessed, greed and expensive gloss to it also. "Have you ever noticed that Tribeca has very few 20-somethings?"